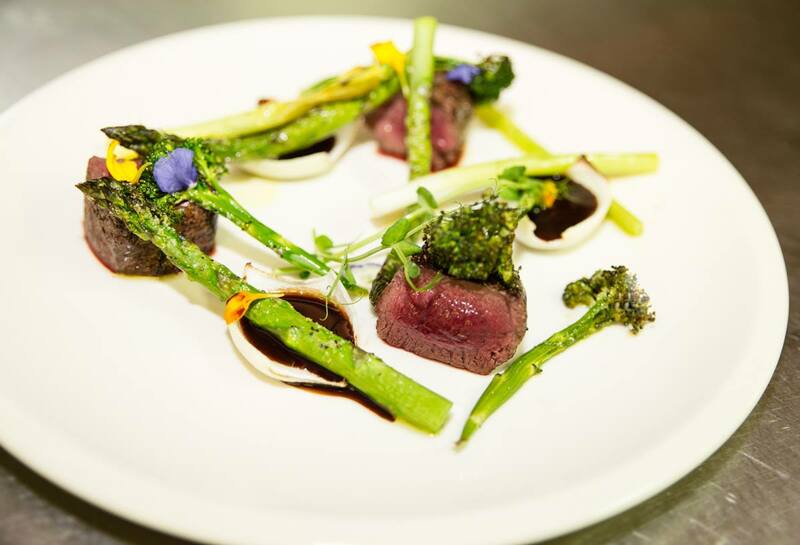 The dining experience in our restaurant captures the essence of the bold vibrant surroundings, serving the best of New Zealand game and traditional foods. Had a really delicious entree and main. Dessert selection not so good, could do with a few more choices. Lovely atmosphere with friendly staff. Another wonderful meal, steak and fish dishes were superb. Pannacotta to die for. The service was great, very knowledgeable about your food and the food was fantastic. There was no rush even though we were on a First Table booking. Thank you for an excellent evening out. Great atmosphere and good service. I was expecting a more tender steak. We enjoyed our evening with you very much. The staff were all attentive and friendly. Food was very good - lamb and steak both tender and flavoursome. The lodge atmosphere adds to the experience, you’ve managed the lighting really well. We had never been to Tongariro Lodge and I chose it as a special night out to celebrate my husband's 50th. From the moment we walked in there we were very impressed. Impressed with our lovely and attentive waitress, the setting, the view, the cleanliness, and the food exceeded our expectations. A lovely relaxing evening out in a beautiful setting. Really enjoyed my meal, as did my husband. Service was friendly and helpful. We certainly got value for money. We are overseas visitors and Tongariro Lodge organised a special birthday day dinner for us and friends. The food was was fantastic and beautifully plated, complimented by a nice selection of wines. The chef created a magical birthday cake for dinner s to enjoy and finish of the evening. Finally to the Manager and staff whose extra attention to us made it a very special and memorable evening. We thoroughly enjoyed the experience. The food service and atmosphere was great and we didn’t feel like we were being rushed. Once again a superb meal in beautiful surroundings. Wonderful service made the evening so enjoyable.The food was exceptional, the gnochi (and you don't have to be vegetarian) was to die for. If you want a dining experience head to the Lodge!! We chose to dine at Tongariro Lodge for a birthday celebration and were warmly welcomed on arrival which set the tone for the evening. We enjoyed a pre-dinner drink while being warmed by the open-fire before entering the dining room. The food was superb. Our entrée was Caramelized pear, walnut & blue cheese salad, the mains were Sous vide duck Margret and Taupo eye fillet complimented with sides of large Chunky Chips & Seasonal Vegetables. The surprise was the flavour combination of the entrée which really did impress. Dessert would have to wait till our next visit. 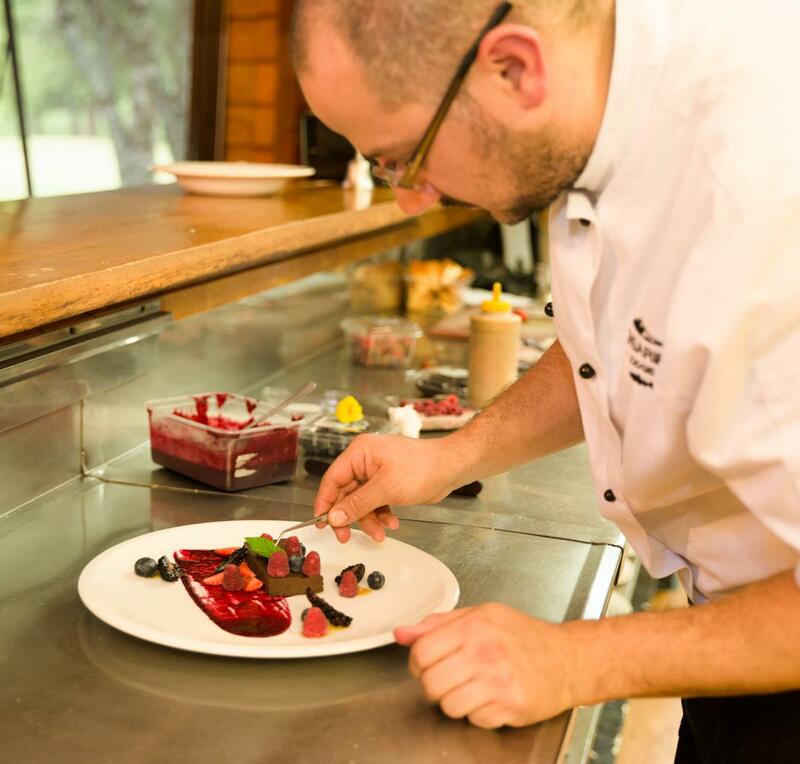 The service was attentive without being over-bearing and the surroundings are classic lodge style that is warm & friendly from the moment that you arrive. Wayne & Helen – Turangi. Excellent service and food. Perfectly cooked steak, and all other meals! 5 star! Such a special meal, beautiful surroundings, lovely food and discreet, helpful service. 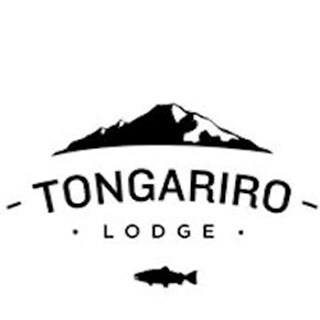 We live just down the road from the Tongariro Lodge, and can’t believe we’ve never been before! Food was amazing. Beer selection is limited. Service is attentive and friendly. Beautiful setting. Lovely setting, beautiful food and would highly recommend. My venison was cooked to perfection.